PREVENTION & TREATMENT Whether you’re asking for yourself, a loved one or for a friend, here are the answers to the most common questions that come up after a diagnosis of gluten sensitivity. 1. Does gluten make you fat? No. Gluten does not make us fat; lifestyle choices do. It is consuming more calories than we expend that makes us fat—not whether or not we eat gluten. 2. Will I lose weight on the gluten-free diet? Not necessarily. Most people with celiac disease who adopt a strict gluten-free diet actually gain weight when their intestinal tract begins to heal, since they can absorb nutrients again. For them, the combination of better absorption and eating higher calorie gluten-free substitutes for bread, pasta, pizza, baked goods, among others, tends to result in weight gain. A naturally gluten-free diet (i.e., lean meats, poultry, fish, nuts, veggies, fruits) is optimal for weight management, and will not contribute to weight gain if high calorie gluten-free substitutes are avoided. 3. Are people with celiac disease always skinny? No. Forty percent of people diagnosed with celiac disease are overweight at their time of diagnosis. Only 4 to 5 percent are underweight. 4. What is 20 parts per million (ppm) of gluten, and how much gluten-free food can I eat without getting sick? Twenty ppm of gluten is the amount of gluten the FDA allows in a product labeled “gluten-free.” According to the latest research, ingesting 50 mg of gluten per day causes intestinal damage for people with celiac disease. That means you must eat at least five pounds of gluten-free food (with <20 ppm of gluten) per day for damage to occur. 5. Is my child’s school required to provide him a gluten-free lunch? Yes. In compliance with the Americans with Disabilities Act (ADA), schools are required to provide students with celiac disease and other food allergies safe and nutritious food options. However, they are not required to provide meals equivalent to those served to other students. For children with a 504 Plan (those with a documented disability), the school must provide lunch in addition to a classroom management plan. 6. Is it safe to work in a bakery if I’m not eating anything? Breathing in gluten is similar to ingesting it. Although the flour cannot be absorbed through the skin, it can be “breathed in.” Working in a bakery, unless it is a gluten-free bakery, is not an ideal job for those with celiac disease. 7. Do I have to give up coffee and corn on a gluten-free diet? No, coffee and corn are both gluten-free. There is no scientific evidence to show that coffee or corn contain proteins that cross-react with gluten. According to Dr. Stefano Guandalini, a CDF Medical Advisory Board member, both are safe for people with celiac disease to consume. 8. 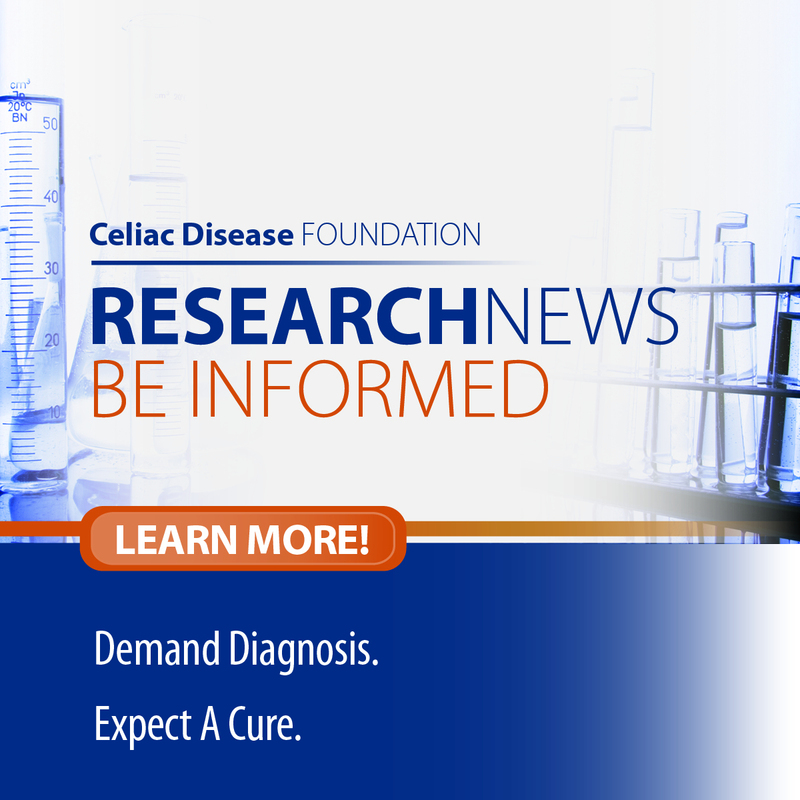 Will glutenase and other “gluten-cutter” products help those with celiac disease digest gluten? No. There is no scientific evidence that products that contain the digestive enzyme DPP-IV, such as glutenase, help digest gluten. 9. Do I have to use special gluten-free soaps, shampoos and lotions if I have celiac disease? Can gluten be absorbed through the skin? No. Gluten cannot be absorbed through your scalp or skin. It must be ingested to affect those with Celiac disease. Lipstick and lip products should be gluten-free as they are easily ingested. However, patients with active dermatitis herpetiformis, a skin condition of celiac disease, should use gluten-free products to avoid contact with any open skin lesions.